After an exceptional opening weekend, newly released mass entertainer Baaghi 2 has passed the crucial Monday test on a solid note. Despite partial Bharat Bandh, the movie remained strong across the country and surpassed the total collection of Akshay Kumar’s PadMan (81.76 crores). 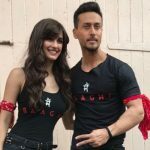 Directed by Ahmed Khan, Baaghi 2 is the second installment of the franchise Baaghi starring Tiger Shroff and Disha Patani in lead role. The movie was released with huge buzz among fans and as expected got succeed to impress all the viewers with its high-octane actions and the thrilling story-line. Because of high initial buzz, Sajid Nadiadwala’s production took a terrific start across India in morning and picked strongly well post noon shows. With a similar response at single as well as multi-screen cinemas, the movie registered a massive opening business of 25.10 crores on Friday. On the next day i.e. Saturday due to positive word of mouth, Baaghi 2 remained super-strong and did the business of 20.40 crores. Then on Sunday, with a further solid jump, it minted the amount of 27.60 crores and raised its opening weekend total collection to 73.10 crores from 3500 screens. Now Tiger-Disha starrer has stepped-in on weekdays and still has a superb hold over the audience nationwide. On Monday despite partial Bharat Bandh, Baaghi 2 showed terrific performance and bagged the amount of 12.10 crores. With this, the total collection of the movie after 4 days, has become 85.20 crores at the domestic box office, which made it the 4th highest grossing movie of the year so far by dominating PadMan.